Jersey Boys star and recording artist, Travis Cloer, brings his versatile vocal styles and energetic show “Setting the Standard” to The Smith Center for the Performing Arts for one night only on Monday, Feb. 4 at 7 p.m. The performance will include songs from his album “Setting the Standard” and timeless hits from Broadway and jazz to R&B and pop. The Midtown Men, four stars of the original cast of Jersey Boys will perform for one special night inside the Eastside Cannery Hotel and Casino on November 17, 2012 at 8:30 p.m. 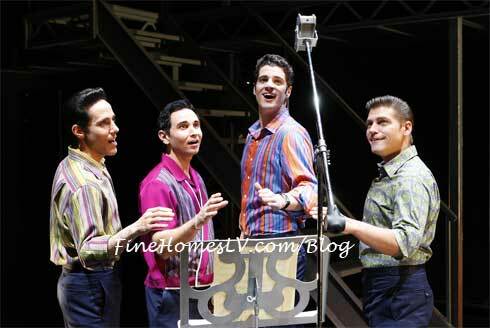 This special concert tour reunites four stars from the Original Cast of Broadway’s Jersey Boys. Tony-Award winner Christian Hoff, Michael Longoria, Daniel Reichard and Tony-Award nominee J. Robert Spencer, star in this one-of-a-kind concert experience celebrating the music that defined the 1960s!